This book presents a rigorous empirical study of various aspects of poverty alleviation in rural Bangladesh. The themes include the trend and structure of rural poverty and the role of microfinance in alleviating rural poverty through participation of the rural poor in NGOs and microfinance institutions (MFIs). It also includes different challenges of participation of rural poor women in NGO-MFIs. In probing those issues, this book employs a different approach of investigation. In comparison with other poverty studies, this book can claim a number of distinct features. First, this book probes the participation behavior of rural poor women who face different socioeconomic, cultural and psycho-attitudinal challenges to participate in NGO-MFIs which ultimately prevented the attainment of the prime objective of poverty alleviation in Bangladesh. In analyzing those issues, this book uses a social psychological theory named the theory of planned behavior (TPB) as a theoretical model upon which the research framework was grounded upon. Second, unlike other studies which are based on relatively small and unrepresentative samples, this book is based on a nationally representative large-scale survey. Third, even though it employs a cross-sectional survey, the study explored in this book attempts to infuse an element of dynamics by employing information on both current and initial condition of resources of households being defined as the resource-base a household had inherited at the time it was formed. This type of data-set helped analyze the dynamics of resource adequacy of the participants in NGO-MFIs which yielded key insights into the challenges of poverty alleviation. Fourth, a concern with the possible influence of microfinance in the economy runs as an intrinsic theme throughout the book. 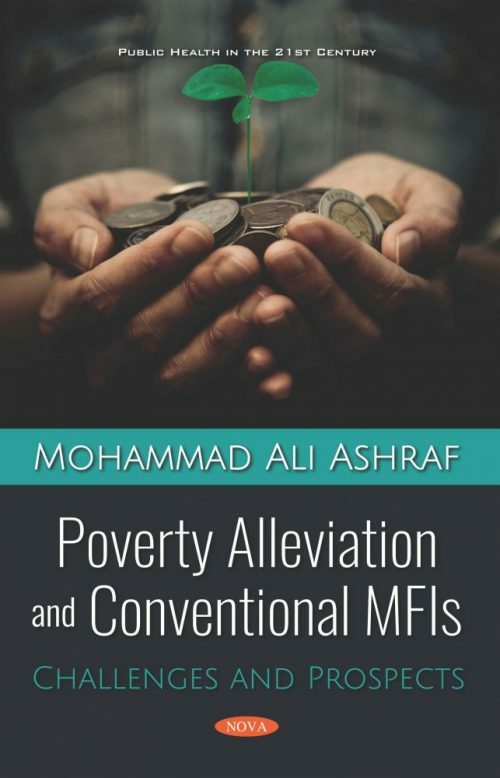 In addition to devoting a long chapter of emergence of NGO-MFIs in Bangladesh, the author analyzes the role of microfinance in its specific contexts in each subsequent chapter, for example, in shaping the trends in poverty, inequality, resource accumulation and in influencing participation of the rural poor in NGO-MFIs and in affecting the ability of the rural poor to be free from poverty and to cope with environmental shocks. Some remarks on possible prospects or recommendations are provided at the end of the book.